relationship issues stemming from an ill-behaved pet. bulldog about clicker training - she would probably be a whiz! "pretty bad case of separation anxiety." The next order of business was to teach Beefy's owner how to walk him on a leash without having to carry a large exercise ball with her on the walk. Silver did a good thing when he advised the owner to part ways with the retractable leash. Retractable leashes are very popular but actually encourage dogs to pull. Much better is a leash of a fixed length made of nylon or leather. Martingale neck collar. Martingale collars are designed for dogs such as greyhounds with necks that are larger in diameter than their heads. The collar design helps prevent these dogs from slipping out of their collars. Bulldogs are flat-faced (brachycephalic) dogs without a neck to speak of and have difficulty with breathing due to their compressed nasal and oral passages. recommended for bulldogs and other brachycephalic dogs. mistake or get its attention. the future. 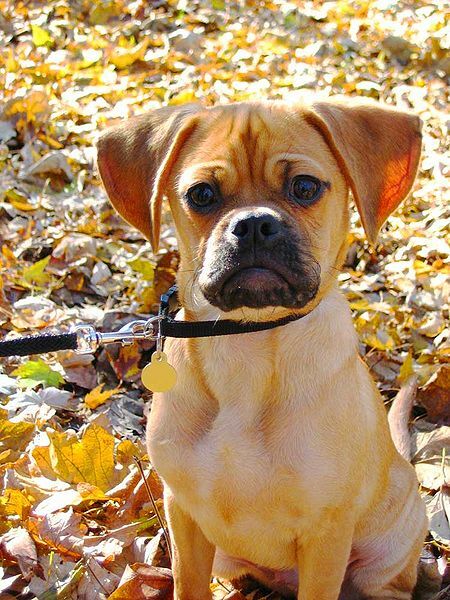 Repeated leash pops or corrections can be easily seen to fail to meet this definition. anything else the dog enjoys. Leash corrections are an outdated force-based method of training meant to get a dog's attention and correct him for mistakes, but at least for a few seconds it appears that this method has worked for Erin and Beefy. that, you're walking your dog." when he has done something the owner likes that will be rewarded so he will repeat the desired behavior. reduced, which ironically serves to strengthen the learned behavior. Rosie's owner, Greg and his daughter, Allie are concerned about her health and her possible overweight status since they previously lost a dog to health problems. So, Silver, Greg and Allie made a visit to the vet who weighed Rosie and told all that her weight is within normal limits. However the veterinarian recommended that Rosie eat more kibble and fewer treats. Rosie needs to learn to "leave it." Silver took Rosie and her owners to the park and placed some food in front of Rosie. He corrected Rosie (who didn't yet know what the rules of the game were) when she moved toward the food with a sharp, "eh!" and then pushed her in the chest! Next he said, "Leave it!" and pushed her in the chest again! This is one place where Silver's lack of understanding of animal behavior and training really shows. From the dog's perspective, this has to be confusing. Next Silver put the meat on the ground and walked a few steps away, continuing to say, "Leave it" and "eh-eh-eh-eh!" as Rosie eyed the tasty morsel on the ground. teach words is by adding the names of behaviors after the animal has learned the behavior rather than at the same time they are teaching the behavior. something that the animal learns to do voluntarily and automatically at the sight of food (the sight of food becoming the cue to "leave it") because she has learned that leaving it will be rewarding. change, it must be applied at the right intensity the first time and every time an animal performs an unwanted behavior. So, while shouting at Rosie to "leave it" may keep her from going for the food on the ground, it requires the presence of Silver, Greg or Allie to shout "leave it" every time Rosie sees food on the ground - or in someone's hand. it" at her, the food may be available! not to mention deleterious to the relationship between child and dog. All children need to learn how to interact with animals safely and effectively using positive reinforcement - without aversion. accepting food treats along their daily walk s. Happy ending - or so it seems. but the danger involved in teaching Rosie's family, including a young child to push Rosie in the chest and shout "No!" In a recent study at the University of Pennsylvania researchers found that confrontational methods of dog training were associated with an increased incidence of aggression. Even yelling "No!" was considered confrontational and resulted in aggressive responses in 15% of the dogs in the study. Of the 4.7 million dog bites in the United States that occur annually, more than half are to young children. 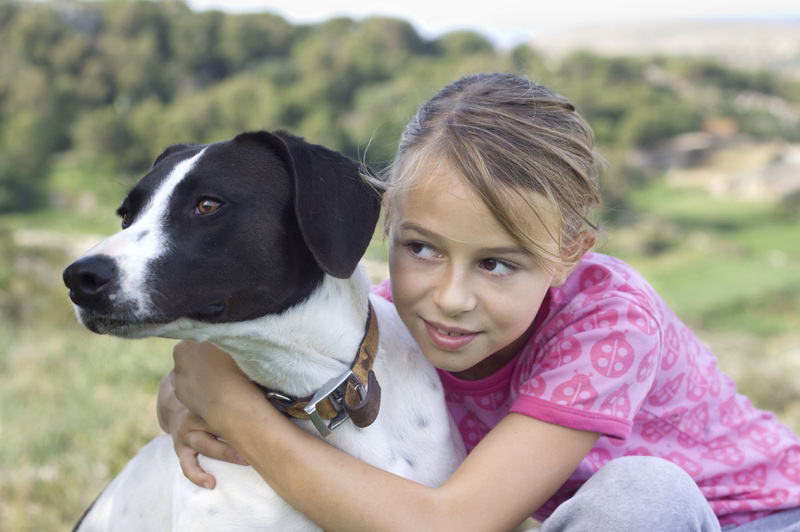 Children are at risk for bites to the face since they are often at eye level with dogs. According to the Centers for Disease Control (CDC), two thirds of dog bites to children ages 4 and under are to the head and neck area. Dog bites are preventable, and two of the ways we can prevent them is by using positive reinforcement training and instructing children in safe interactions with dogs. Charlotte is a worried-looking dog that I believe has a bit more going on besides protecting her window seat and model agency owner, Elli in the office. cursory at best. Poor Charlotte needs a lot more than to be separated from her doting owner. When Justin first met Elli and Charlotte, Charlotte had a regular flat collar on, but after Charlotte was tethered under the table she had a metal choke chain collar on! Not only did Charlotte have a choke chain on her neck but it was on backwards which prevents the free or "dead" end of the chain from traveling freely through the loop to avoid constant constriction of the dog's neck. While I do not advocate use of these draconian devices, they were designed to be used with leash corrections in which a sudden, sharp jerking motion is applied to the leash to quickly tighten and then immediately loosen around the dog's neck. They were not designed to provide constant pressure and asphyxiate. Dogs should never be left unattended with these collars on and they should never be tied to anything with them on. option, and that is to attack . Charlotte's body language indicated she was anxious. Her mouth was closed a lot of the time and I felt she was living very close to her threshold for biting most of the time. When she was tethered underneath the table in Elli's office, she looked anxious with the whites of her eyes showing, something we call "whale eye." The fact that Charlotte lunged at Lucy when Lucy came too close was entirely predictable and should not have been allowed to happen. This experience only served to further sensitize Charlotte to the presence of other dogs. chain collar around her neck, and since dogs learn by association, Charlotte's fear of other dogs was only made worse by the pain caused by the choke chain around her neck. modification, the dog is placed through exercises while keeping the dog under his or her threshold for reaction. If the dog reacts, the dog is further sensitized rather than desensitized to the triggering event. Ideally a veterinary behaviorist would make the diagnosis and prescribe the appropriate treatment, including medication if indicated. At the very least a veterinarian needs to be involved to rule out medical causes for Charlotte's aggression. experience continuing stress and repeated incidents will only serve to further sensitize her. potentially disastrous consequences for dog owners and their dogs. owners about dog behavior and humane and effective training techniques. This program is touted as a "reality show" and so viewers are led to believe that the assessments made and training methods used in this program are those used by training and behavior professionals. In fact, they are not. around dogs, the profession is vulnerable to imposters who can claim to be dog trainers by virtue of their mere association with dogs. have provided links for additional reading about how to select a dog trainer as well as information about training and behavior. Two dog trainer programs that produce high caliber reward-based trainers are the Jean Donaldson http://www.academyfordogtrainers.com/ and the Karen Pryor Academy for Animal Behavior and Training. In Europe, Kay Laurence, proprietor of Learning About Dogs offers a clicker training certification program consisting of 4 levels: CAP (Competency Assessment Programme) 1, CAP 2, CAP 3 and CAP 4. Kay Laurence, like Karen Pryor and Jean Donaldson is one of the world's foremost positive reinforcement animal training instructors. these programs vary widely in what they teach and the quality of instruction. indication that a trainer has learned something about animal behavior and training. Caveat emptor (Let the buyer beware) See the links following this article for information on how to select a dog trainer as well as other relevant information from reliable sources. Please do your homework! © 2012 Canine Connection LLC All rights reserved.